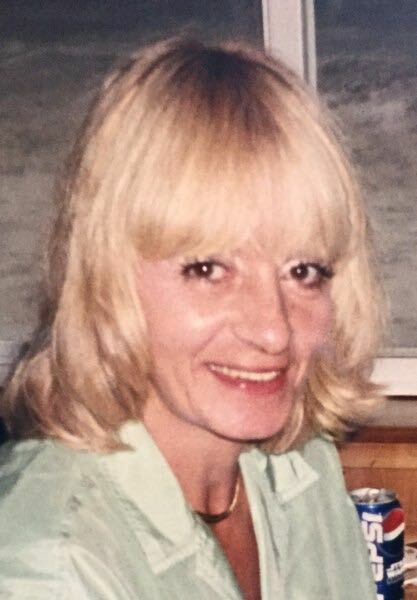 Linda Kay Tewers, 71, of Kill Devil Hills passed away peacefully on Jan. 8, 2019, surrounded by family. Born Oct. 12, 1947, she was the youngest daughter of the late Lonnie Roscoe Meek Sr. and Mary Martha (Stull) Meek. She grew up in Tuscarawas County, Ohio and attended Gerber Beauty School, where she obtained her cosmetology license. She worked for over 30 years as a beautician, 27 of those years owning her own shop, Linda’s Beauty Salon in Uhrichsville, OH. She was a loving mother of four and worked very hard to provide for her family. In 1997 she sold her business and fulfilled a longtime dream of moving to the Outer Banks of North Carolina, where her family often vacationed. She retired from cosmetology and became the Deli Manager of Food Lion in KDH. This is where she met her future husband, Vern Tewers. The two were married on Sept. 6, 2002. Linda loved walking on the beach, searching for sea glass, camping, boating, playing cards, going to yard sales and spending time with her family and friends. She is preceded in death by her parents, two brothers Lonnie (Margie) Meek and John (Linda) Meek, a sister Mary (John) Dryden, two sisters-in-law Nancy (Lindon) Meek and Diane (Patterson) Meek, her son Jack (Kim) Vermillion and her beloved dog, Jake. She is survived by a brother Carl Meek. She will be greatly missed by her husband Vern, and her children Patty (Chuck) Slowikowski, Tate (Tonya) Vermillion, David (Jessica) Craig, Rebecca (Robert) Steele and Rich (Jamie) Tewers. She was lovingly called MeMe by her grandchildren, Anya (Gary Harlow) Vermillion, Audrianna (Doug) Whiteman, Amanda Slowikowski, Anayla (Jeremy) Sluka, Alex Slowikowski, Aly Vermillion, Sophie Vermillion, Tre Craig, Colt Craig, Robert Lee Steele, Bethany Steele and Patrick Steele. She also had seven great-grandchildren that she dearly loved, Haley Collins, Hunter Whiteman, Bryce Whiteman, Zandria Harlow, Ayanna Sluka, Aisley and Aiden. Linda had a large extended family who will also miss her including several nieces, nephews, cousins and her “bestest” friend Joni Baumberger. Following her wishes, Linda will be cremated. A memorial service will be held on Sat., Jan. 12, at 1 p.m. in the sanctuary at Grandy Community Church located at 121 Augusta Dr. Family and friends may gather at the residence of Linda and Vern following the service. Anyone who knew her, knows Linda was in love with elephants, so in lieu of flowers, donations may be made at awf.org or gifts.worldwildlife.org. Condolences to the family may be expressed via the on-line register at www.gallopfuneralservices.com. Gallop Funeral Services, Inc. was entrusted with arrangements.